General Secretariat of the Palestinians Abroad Conference Munir Shafiq has strongly rejected statements reported by a number of Arab newspapers and media outlets which have labelled Palestinian resistance as terrorism. Shafiq hailed the awareness of the Arab and Muslim people who condemned those offensive and misleading remarks. The statement called on all Arab parties not to involve Palestinian resistance in the region’s conflicts. A right-wing member of Israel’s Knesset has recognised that Palestinians existed on land now occupied by Israel before Jews came to the country. Israel has no right to negotiate with the Palestinians because they were here before it and the Jews drove them out of their land. “The important thing is for Israel to be a Jewish state. Apart from that, we have no right to conduct negotiations with the Palestinians because they were here before us and we expelled them from here,” Arutz Sheva reported him saying. Images and speeches contained in programmes broadcast by certain Algerian television channels “publicly incites violence against women”, the National Council for Human Rights (CNDH) has warned. The group called for measures to be taken in Algeria to put an end to such imagery, a statement said yesterday. Many popular programmes broadcasted during Ramadan usually have hidden camera shows where women are repeatedly hit by individuals forced in artificial situations to react. The act of hitting is usually accompanied by comical sound effects and audience laughter which has been criticised for normalising violence against women. In this context, the CNDH recommends that “media clauses banning all forms of discrimination, in accordance with the provisions of the Criminal Code” be included in the media operators’ specifications. BETHLEHEM (Ma’an) — A proposed Israeli law that would cut nearly $300 million to the Palestinian Authority (PA) over funds allocated to the families of Palestinian prisoners of Israel and those who were killed or injured by Israeli forces has been denounced by Palestinian leadership as an “assault” on Palestinian resistance. Israel’s parliament, the Knesset, is reportedly expected to vote Wednesday on the measure, which would see Israel deduct an estimated 1 billion shekels ($280 million) annually from tax revenues it collects on behalf of the PA — equivalent to the budget of the controversial “martyrs” compensation program fund managed by the Palestine Liberation Organization (PLO). Head of the PA-run Committee of Prisoners’ Affairs Issa Qaraqe also characterized the bill as an act of “privacy and theft,” in a Monday interview with Voice of Palestine radio, official Palestinian news agency Wafa reported. “Israel aims by this act to delegitimize the Palestinian national struggle and to deny the prisoners the right to be identified as prisoners of freedom who have sacrificed to become free from the occupation,” Wafa quoted Qaraqe as saying. He said Israel ignored the fact that its position as an occupying power was the reason why so many Palestinians were behind bars to begin with. Ahmad Tibi, a member of the Knesset in the Joint List political bloc — representing parties led by Palestinian citizens of Israel — told Ma’an in April that the bill was part of a campaign that Israel was launching against Palestinian prisoners while attempting to exert pressure on Palestinian governmental institutions’ already shaky financial status. The social program has been the target of criticism in Israel for years. While the bulk of the program, which had been managed by the PLO since its inception in 1966, was shifted to the PA following the Oslo Peace Accords in 1998, following criticism by the US and the passing of legislation aimed at cutting funds to the PA, the payment distribution was then shifted completely back under PLO management in 2014. In March, Israeli rights group B’Tselem released a report detailing how Israel has introduced legislation over the past 20 years to avoid paying compensation to Palestinians who have been injured by Israeli forces. Israel has notably used the payments distributed by the PLO to wounded Palestinians and Palestinians killed by Israeli forces to justify forgoing compensating Palestinians, revealing a clear double standard given the Israeli government’s routine opposition to the same social program. Israel collects an estimated $2.1 billion in taxes each year on behalf of the PA, according to a 2015 report by the United Nations Conference on Trade and Development (UNCTAD), representing three quarters of the PA’s revenue. BETHLEHEM (Ma’an) — “The occupation is not temporary but prolonged and represents a continuance of the colonization of historic Palestine under the pretext of a ‘temporary’ belligerent occupation,” al-Haq, a Palestinian human rights group, said in a statement on Monday to mark the 50th year of Israel’s occupation of the Palestinian territory. In June, Palestinians commemorate the “Naksa,” meaning “setback,” marking the Israeli invasion and occupation of the West Bank, Gaza, Sinai, and the Golan Heights that began on June 5, 1967 during the Six-Day War, displacing some 300,000 Palestinians, as well as thousands of Syrians, from their homes. Al-Haq highlighted the immediate action the Israeli army took in 1967 to depopulate Palestinian areas of its local residents, starting with the demolition of the entire Magharib Quarter — also known as the Moroccan Quarter — in the Old City of Jerusalem. The Moroccan Quarter was at least 770 years old. Soon after, according to al-Haq, Israeli authorities expanded the boundaries of Jerusalem to include 28 villages in the West Bank, intended to take “a maximum of vacant space with a minimum of Arabs,” and issued a military order to expropriate 29 acres of land in the southern part of the Old City for “public purposes” the following year, where Jewish families were transferred in order to challenge the Old City’s Palestinian demography. Israel’s settlement enterprise, which has continued to be condemned by the international community, made a head start 50 years ago when Israel constructed the Israeli settlement of Gush Etzion in Hebron, and continued with settlements across the Jordan Valley, East Jerusalem, and the Dead Sea, according to al-Haq. 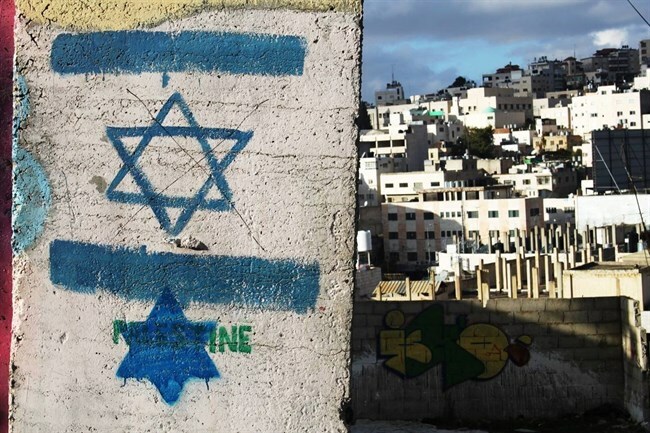 “By the end of 1967, Yigal Allon, the Head of Israel’s Ministerial Committee for Settlements began to plan an official settlement map for Jewish settlements in the Eastern part of the West Bank,” al-Haq added. The group also pointed to historical evidence that since 1967, Israel has held the long term goal of annexing the entirety of the West Bank, using the occupation’s supposed temporality as a guise to do so. Al-Haq noted that Theodor Meron, the legal adviser to Israel’s Ministry of Foreign Affairs at the time, had been well aware of the settlement’s illegality, and suggested “that settlements be carried out by military rather than civilian entities on a temporary basis” to avoid consequences on the international stage. “While Israel’s colonizing plans in occupied territory were immediately apparent beginning in 1967, also immediately apparent was the international community’s failure to intervene to protect the occupied Palestinian population from the colonization,” the group said, noting that the international community had failed to take real action, such as economic sanctions, that could deter Israel’s illegal settlement expansion on Palestinian territory. Israel has been “allowed to act for fifty years with impunity under the shield of a non-existent ‘peace process,’” al-Haq stated. Last week, echoing statements made back in 1967, a number of right-wing members of the Knesset, Israel’s parliament, called for the full annexation of the West Bank. MK Moti Yogev from the extreme right-wing Jewish Home party also called for the establishment of a Jewish state in all of historic Palestine. 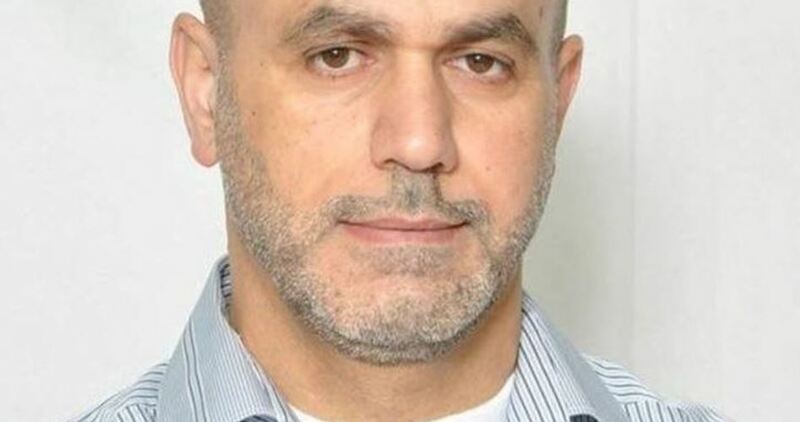 Israeli occupation authorities (IOA) extended for the third time the administrative detention order to six months against captive Jawad al-Jaabari, 47 from al-Khalil. Israeli forces re-arrested the ex-prisoner Sheikh Jawad al-Jaabari after storming his home on June, 06, 2016. He was arrested more than once in Israeli jails and served over 15 years of imprisonment mostly under repeated administrative detention orders. He also participated in an open hunger strike that lasted for 61 consecutive days against the illegal administrative detention order in 2014. B’Tselem, the Israeli information center for human rights in the occupied territories, has accused the Israeli security and military authorities of exchanging roles with Jewish settlers in attacking the Palestinian citizens as part of Israel’s intents to strengthen its control over the West Bank. In a recent report, B’Tselem said the Israeli authorities allow Jewish settlers to harm Palestinians in the West Bank without then being arrested and held accountable for their crimes. 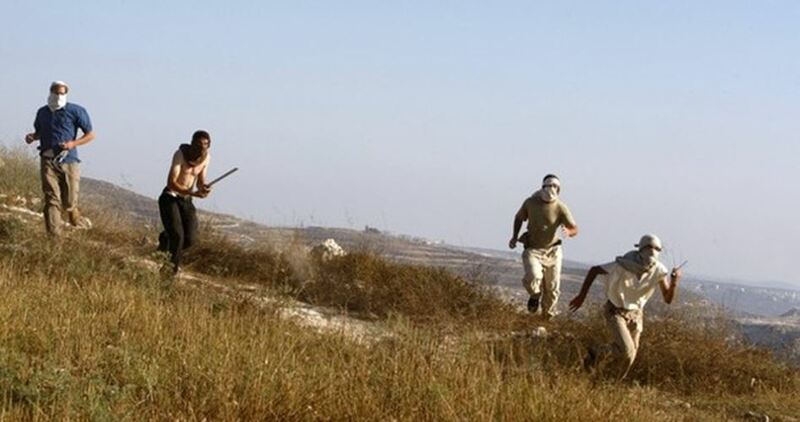 According to the human rights group, on 22 April 2017, settlers from Yizhar and its satellite outposts descended on the Palestinian village of Urif and threw stones at homes and cars. Later that day, a group of settlers also arrived at the northwestern outskirts of the town of Huwara, which is flanked by these settlements on the west, and by the settlement of Tapuah from the south, and assaulted people and homes in the area with sticks and stones. An elderly woman called Badi’a Odeh, 68, was grazing her sheep in a plot of land near her daughter’s house at around 5:00 p.m. The outpost of Mitzpeh Yitzhar was built near the home. Her son-in-law, Muhammad Odeh, came out of the house and started walking toward her, when suddenly, some seven settlers appeared. “Based on past experience, it is safe to assume that the police will not take any measures against the individuals involved in the incident, who will be able to continue their violent conduct. The inaction on the part of the Israeli authorities in this case is part of their longstanding policy throughout the West Bank of allowing settlers to harm Palestinians without then being held to account,” the rights group underlined. Head of the popular anti-siege committee, MP Jamal al-Khudari, raised on Monday alarm bells over the tragic fallouts of an Israeli decision to reduce power supplies to the blockaded Gaza Strip. According to al-Khudari, over the past couple of months, Gaza’s sole power plant has gone out of operation due to the acute shortage in fuel supplies, resulting in a dire humanitarian situation. The MP warned that the situation is taking a turn for the worse due to Israel’s decision to curtail power supplies to the besieged coastal enclave. 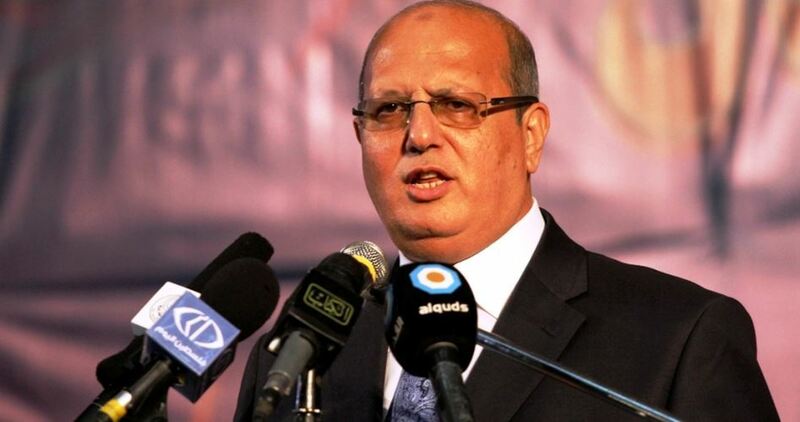 Al-Khudari urged the international community and all concerned bodies to immediately step in so as to push Israel to backtrack on its decision on the one hand and to provide much-needed alternative power sources, fuel supplies, and solar power generators to operate hospitals, clinics, and water wells, among other vital facilities on the other hand. Bennett of the far-right Jewish Home party added that the best political reconciliation for the issue of Jerusalem is uniting the city under Israeli sovereignty. Ironically, the extremist politician made his comments at the Haaretz Peace Conference in Tel Aviv. While Bennett accepted that Israelis are destined to live next to the Palestinians, he said that “there is no love or friendship” between them. Bennett’s party supports Israel’s colony-settlements across all Palestinian territory and rejects any move to give up any part of the occupied West Bank on which they are built so that a Palestinian state can be established. Jewish Home rejects the two-state solution with East Jerusalem as the capital of a State of Palestine on the 1967 borders. Israeli occupation has installed guardrail on Israeli highway, isolating Palestinian Bedouin community, preventing around 100 children from schools. 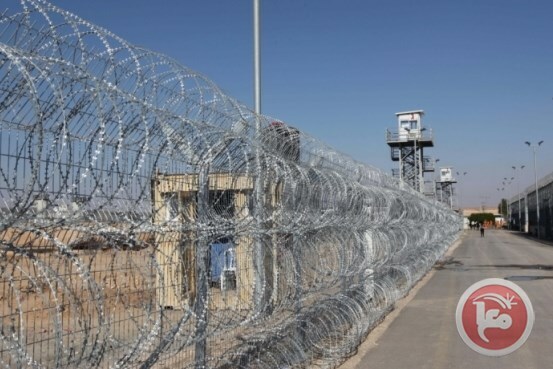 A report issued by the Legal Centre for Arab Minority Rights in Israel (Adalah) said that the Israeli occupation effectively sealed off Umm Bidoun, a Palestinian Bedouin community in Al-Naqab, by blocking off the only dirt road connecting the village to Highway 31 with a guardrail. The road surface markings on the highway near other passage out of Umm Bidoun have also recently been changed, making it illegal for vehicles to cross the road, Adalah added. Recent changes have effectively prevented any vehicles, including school buses, from accessing the village, Adalah said. As a result, the legal NGO stated that, due to the absence of schools in Umm Bidoun, 100 children who study in the village of Al-Furaa, 15 kilometres away, have been unable to go to school for days. The NGO said on Sunday it had contacted officials from the Israeli education ministry, Al-Qasoum regional council and Netivei Israel, the national roads authority, to demand that the obstacles to freedom of movement for the residents of Umm Bidoun be lifted. Adalah field researcher Marwan Abu Freih said that Netivei had told the organisation that it was examining the issue. “It is inconceivable that some 100 students can — in such a sudden and arbitrary manner — be prevented from attending school without any advance notice to or consultation with parents,” Abu Freih said on Sunday. Between 160,000 and 170,000 Bedouins are believed to reside in Al-Naqab, more than half of whom reside in unrecognised villages, according to the Association for Civil Rights in Israel (ACRI). The classification of their villages as “unrecognised” prevents Bedouins from developing or expanding their communities, while Israeli authorities have also refused to connect unrecognised Bedouin villages to the national water and electricity grids, and have excluded the communities from access to health and educational services.